This is an excerpt from the "Engaging Police in Immigrant Communities" guidebook published by the U.S. Deparatment of Community Oriented Policing Services (COPS) Office. The Brooklyn Center and Brooklyn Park police departments (collectively, the Brooklyns) serve adjacent municipalities in the northern suburbs of Minneapolis, Minnesota. Both possess similar immigrant communities consisting largely of Hmong, Latino, and Liberian immigrants. Many of the Hmong and Liberian residents came to the Brooklyns through refugee resettlement agencies. Members of the Latino community moved to the Brooklyns mainly to pursue employment opportunities and a better quality of life. While working with these immigrant populations, the police departments realized that many people did not have a clear understanding of local law or the role of police. Officers were also having difficulty understanding the cultural practices of the diverse immigrant communities in their jurisdictions. In 2005, to collectively address their shared challenges, the police departments partnered with Hennepin County and the Northwest Hennepin Human Services Council to create the Joint Community Policing Partnership (JCPP). Since many of the practices described below are initiatives of the partnership, this report profiles the departments jointly. 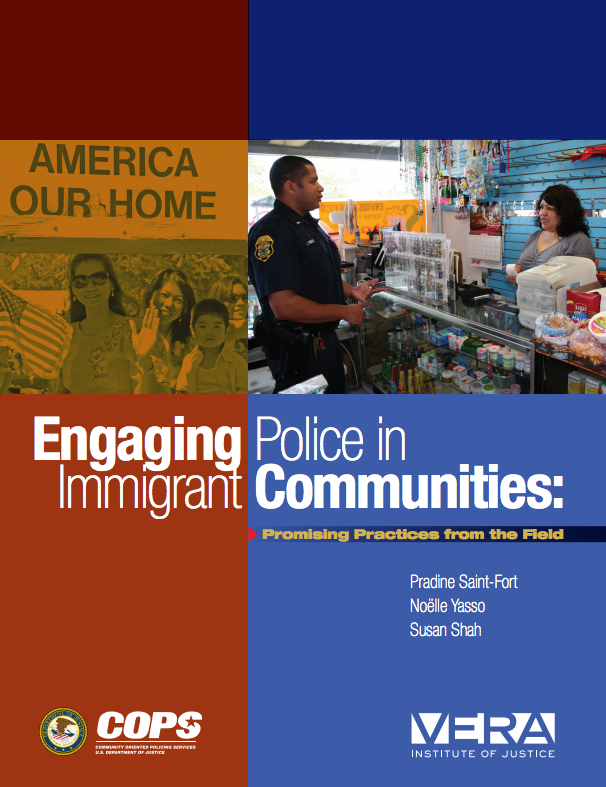 Read the full case study in the Engaging Police in Immigrant Communities guidebook.